FlexCut Sticky is designed for transferring solid colour logos, graphics or text onto cotton and polyester fabrics. It has a matte finish, is thin and soft and doesn’t feel heavy on garments. 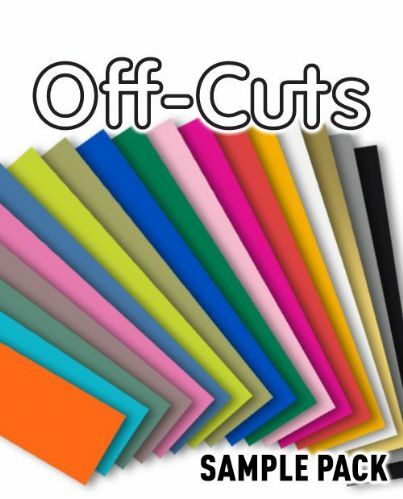 FlexCut Atomic includes seven deep, pearlescent colours with easy cutting and weeding. EasyWeed (PS Film) is as easy-to-use heat transfer vinyl with a soft and very thin finish available in a wide range of vibrant colours. It includes one-step application, hot or cold peeling and reliability in colour fastness and washing resistance. Poli-Flex Fashion is designed for transferring logos, graphics or text onto cotton and polyester fabrics. Available in various eye-catching designs, it is especially recommended for fashion wear. Simply cut out your design with a contour (plotter) cutter or scissors, weed away any unwanted vinyl and press onto your chosen substrate with a heat press.